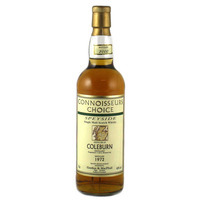 Coleburn was founded in 1897 by the blender James Robertson & Son of Dundee with construction being completed in 1899. The distillery was renovated in the 1960s but closed in 1985. 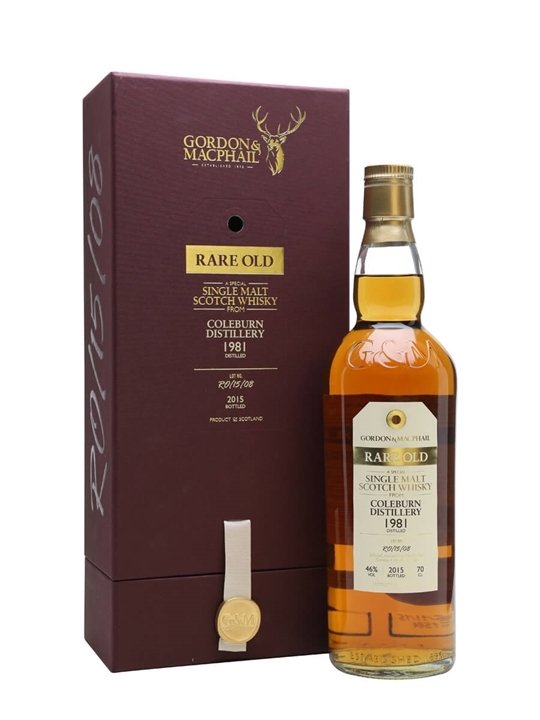 Summary: A great older bottling of Connoisseurs Choice by Gordon and MacPhail. Distilled 1972. Bottled 2000. 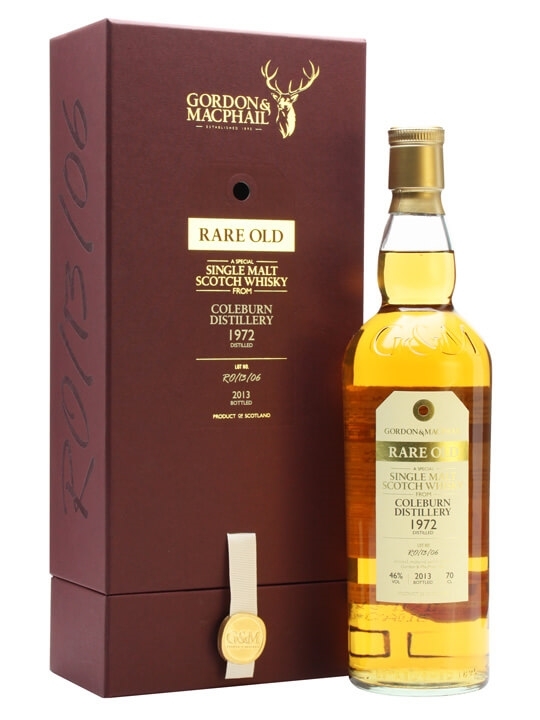 Distilled at Coleburn Distillery in 1972, specially selected, produced and bottled by Gordon & MacPhail. Summary: 70cl / 46% / Gordon & MacPhail – A 1981 vintage Coleburn released by independent bottler Gordon & MacPhail as part of the Rare Old series of whiskies. The distillery closed in 1985 and bottlings are now increasingly sought-after. Summary: 70cl / 46% / Gordon & MacPhail – A 1972 vintage Coleburn released by independent bottlers Gordon & Macphail as part of their Rare Old series of whiskies. The distillery closed in 1985 and bottlings are now increasingly sought-after. Summary: 70cl / 59.4% / Distillery Bottling – The Rare Malts are a now-discontinued series of cask-strength releases designed by Diageo to showcase some of the hidden treasures in their portfolio. This particular dram is all the more precious for having come from a distillery closed in 1985. 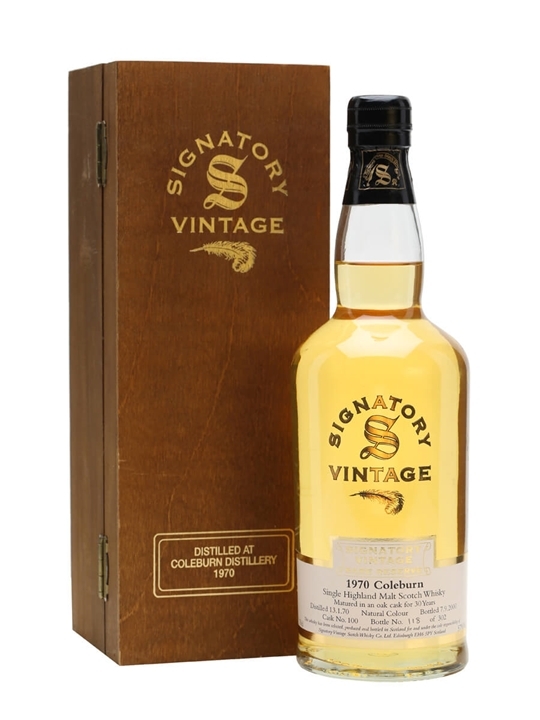 Summary: 70cl / 57% / Signatory – A 1970 vintage Coleburn from independent bottler Signatory. Distilled on 13 January, it was aged for 30 years before 302 bottles were yielded on 7 September 2000. 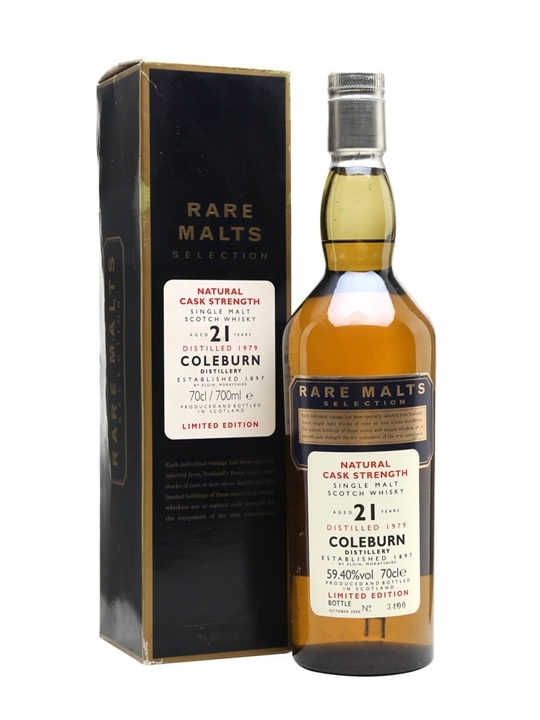 Summary: Coleburn 1981 vintage Speyside single malt Scotch whisky. Rare expression from the lost distillery.  Lot RO/15/08161 bottled 2015 by Gordon & MacPahil for the Rare Old series. 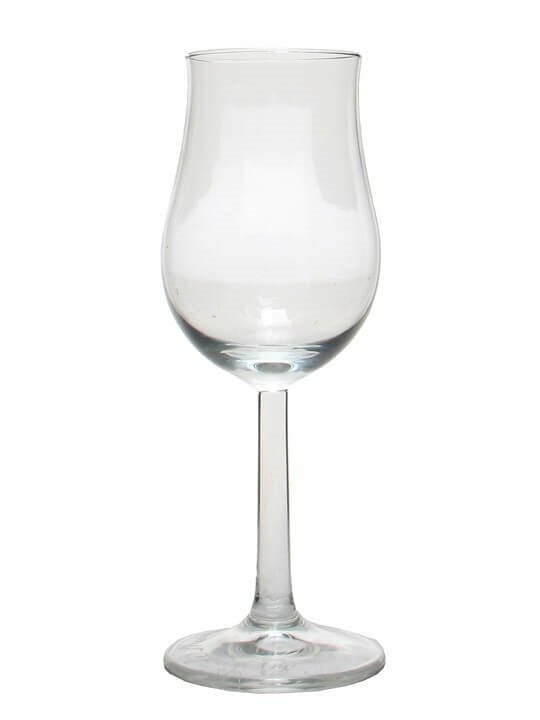 A Dundee based firm of whisky blenders commissioned the architect Charles C. Diog to design Coleburn malt whisky distillery in 1887 and it duly opened in 1889 at Coleburn farm just to the south of Fogwatt in Scotland’s Speyside whisky region. Coleburn Distillery was built beside Colburn railway station which ensured a speedy connection to the southern whisky blenders. Closed in 1985 and whilst many of the buildings remains most of the equipment has gone. 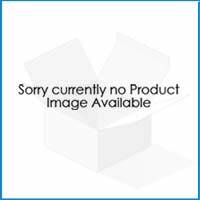 Coleburn Distillery is a lost Scottish whisky malt whisky distillery.